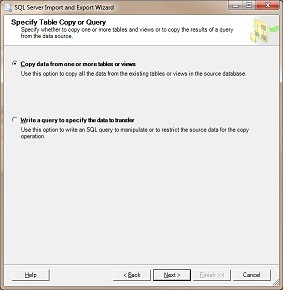 Create a new SQL database table from an Excel spreadsheet in nine steps. 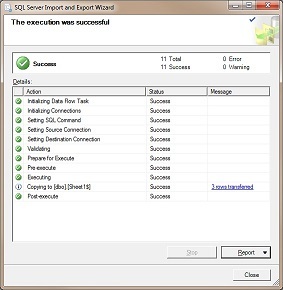 You can use the Wizard in the SQL Server Standard, Enterprise, Developer, or Evaluation editions. First, enter the data into an Excel spreadsheet. 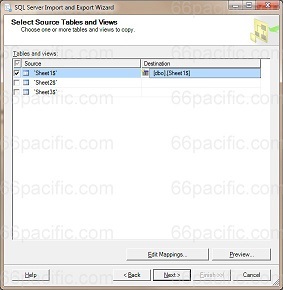 In this example, the default spreadsheet name, Sheet1, has been retained, but if you rename the sheet (to the name you want for the table in the database, for example), that name will be automatically used in the import process (at Step 6). 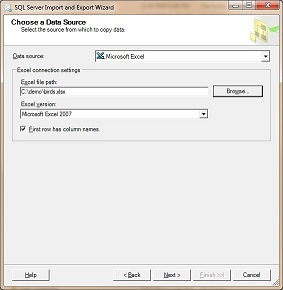 In the Data Source dropdown of the Choose a Data Source page, select Microsoft Excel. In the Excel file path box, specify the file path to the Excel spreadsheet. 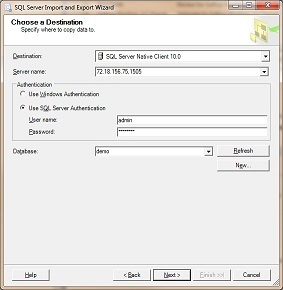 In the Destination dropdown list, accept the default setting of SQL Server Native Client 10.0. In the Destination column, you can specify a different name for the table in the SQL database if you choose. Click Preview to see how your data will appear in the destination table. You can click Edit Mappings to change how your data is assigned at the destination table, but it shouldn't be necessary in this example since you entered the data into the Excel spreadsheet yourself. 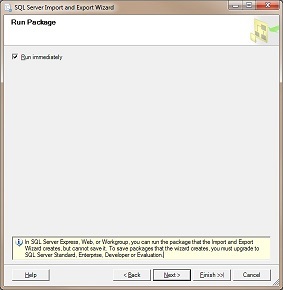 View your new table by opening Microsoft SQL Server 2008 Management Studio at Start / All Programs / Microsoft SQL Server 2008/ Import and Export Data. 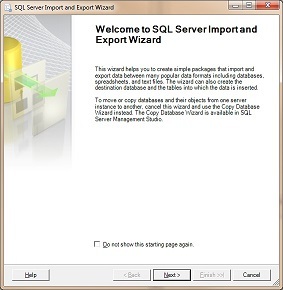 You can also use the Import and Export Wizard to export data from a table in SQL Server to an Excel spreadsheet.